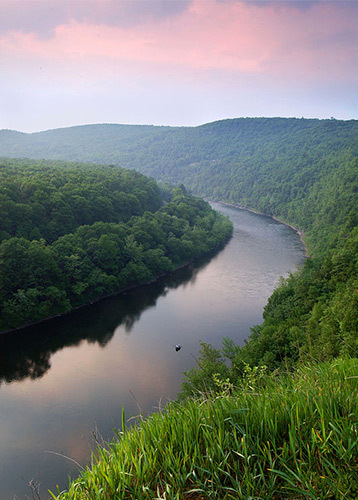 The Pennsylvania Supreme Court Vacated a June 7, 2017 Commonwealth Court Decision affirming a lower court ruling denying a substantive challenge by the Delaware Riverkeeper Network and Clean Air Council as well as impacted residents. As a result, the case goes back to the Commonwealth Court for reconsideration. The case focuses on a Middlesex Township zoning ordinance amendment which allows shale gas extraction and gas infrastructure to nearly blanket the community. In the litigation, Delaware Riverkeeper Network and our litigation partners argue that the zoning amendment removes core protections to residential neighborhoods from dangerous industrial activities. Our challenge includes a claim that the amendment violates the people’s right to pure water, clean air, a healthy environment, and fails to protect public health, safety, and welfare by allowing shale gas extraction, drilling, and gas infrastructure to occur so close to where children, families and residents live, learn, work, and play. The appeal was filed with the Middlesex Township Zoning Hearing Board. “The zoning change in Middlesex Township we are challenging has impacted the whole community and their rights to a clean and healthy environment. The outcome of this case has important implications for environmental rights, and the rights of residents to live peacefully and safely in their own homes and communities, and to feel confident their children are safe when they send them off to school in the morning (at least with regards to the effects of shale gas development). We are cautiously optimistic and value the opportunity to have the courts, more directly, consider our constitutional claims in this case. We had previously maintained that the Township’s decisions, including to allow unconventional gas development in over 90% of the Township, violated the ERA based on the Amendment’s plain language. We now have the opportunity to bring forth our arguments again and have the Commonwealth Court consider directly our legal arguments and concerns.